One of the great advantages of Whistler Blackcomb’s incomparable size is that it really delivers on the promise of “something for everyone” and that’s as true when it comes to accommodation choices as it is when you’re trying to decide which part of our 8,100 skiable acres to call your own for the day. But when it comes to accommodation, here’s what really separates us from the rest – at Whistler Blackcomb, you’ll not only find every conceivable TYPE of accommodation, but also four distinct areas in which to stay, each with its own unique personality and advantages. Here’s my take on each of the four – hopefully it will help you find the one that’s a perfect fit for your vacation. Of course, the Main Village is one of our most popular areas to stay, and for good reason. It’s close to the lifts as well as shops, restaurants, nightlife and everything else that makes it such an amazing place – perfect for “ski bums” who want to get right up and start skiing first thing in the morning without any fuss and then be right in the thick of all the village action when the day is done. It’s also good for those who have a bit more of a budget and are looking to pamper themselves a bit (big luxury chains like Westin, Pan Pacific and Hilton live in this area, as well as many smaller, more affordable choices). As you might expect, these are mostly smaller units in this area so it may not be ideal for groups of four or more as units tend to be smaller. And with all that’s going on in the Main Village – day and night – it can get a bit noisy, especially on weekends (but did I mention it’s amazing!!). 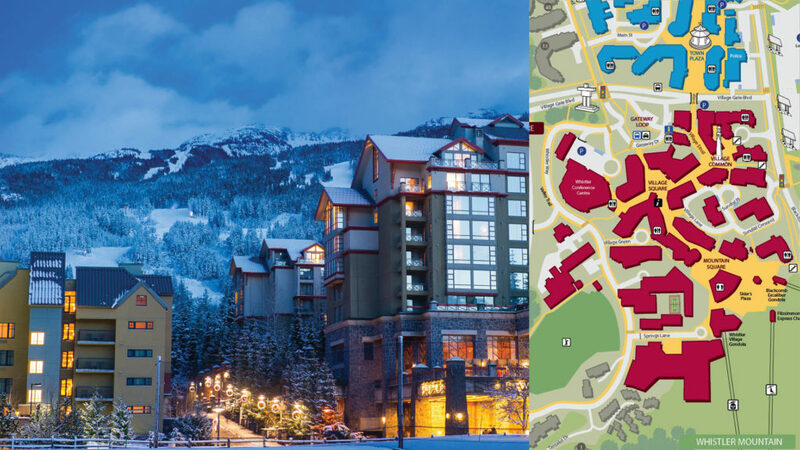 If being right in the middle of a busy village scene isn’t your first choice, there’s a fantastic option that’s just a short stroll away – Whistler Village North. 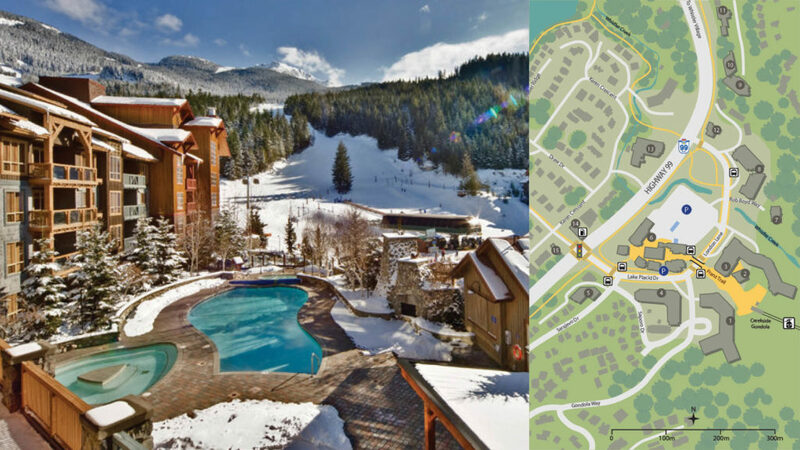 For families and groups looking for larger, condo style accommodation (lots of 3 and 4-bedroom condo choices) at lower rates and with a “village experience” that’s lower key, Whistler Village North is an ideal choice. I like to think of it as the area to stay if you like to go out at night and don’t mind a short stroll “home” to some quieter digs. Speaking of strolls, you can count on about an 8 to 15-minute walk to the slopes from here. The upside? Typically some of the most reasonable rates in Whistler are to be found here. For those who truly want to make the most of the mountains, nothing beats the ski in/ski out choices you’ll find in the Upper Village. You couldn’t be closer to the slopes and it really gives your day that special jump start (not to mention shortening your day’s-end “commute” when the shortest possible distance to putting your feet up is suddenly a top priority!). It’s a little more secluded than the lower villages so you tend to find accommodations with more of an away-from-it-all feel to them, surrounded by trees and fresh snow. Just keep in mind that if you are looking to go out at night, you will need to factor in the cost of a cab or the wait for a shuttle (if it is still running) – not ideal for the club crowd. It surprises many people to learn that we actually have a completely separate base area – Creekside – that’s just a short shuttle ride from the Main Village. For those in the know, it’s one of Whistler Blackcomb’s best-kept secrets. 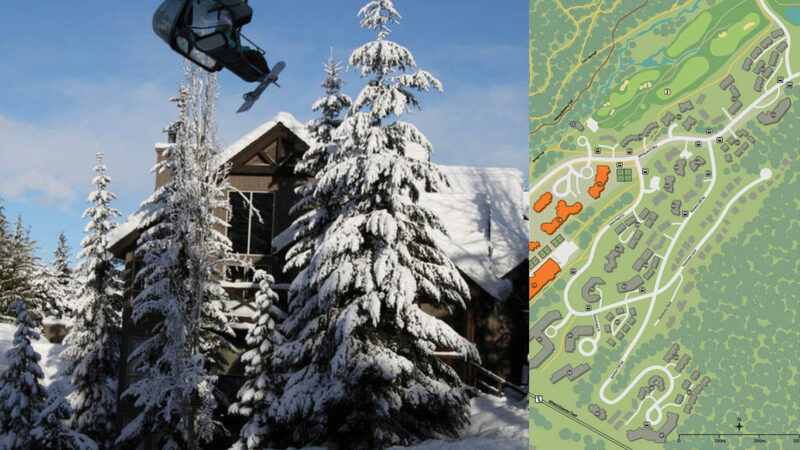 With its own shops, restaurants, pubs, grocery store, ski school, and rental shop – even its own dedicated gondola – Creekside has all the amenities you could possibly need during your stay. Think of it as a mini version of the Main Village; a perfect fit for larger families with lots of condo options as well as boutique luxury hotels for those seeking a quieter escape. One thing to keep in mind, though, is that I wouldn’t recommend it for guests who can’t comfortably ski yet as the trails that run down into Creekside are for intermediate skiers. If I had to sum up your choices in just a few words, I’d say: the Main Village if you want action, Whistler Village North if you need more space that’s just a short stroll away, the Upper Village if ski in/ski out is your thing, and Creekside if you want a quieter, smaller-scale experience. If you’re still left wondering, pick up the phone and call one of our Vacation Experts. 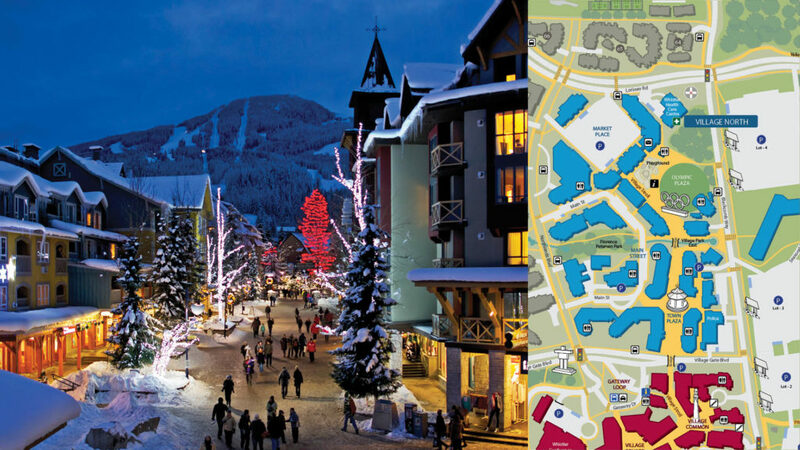 They’re here to help you package that perfect visit to Whistler Blackcomb – 604.403.4727.